Traditionally it is time for the Top 10 Reviewed Games for this year. This is the way I do Top 10 Games here on the blog. As you are aware now is the time everybody makes Top Tens and because I like watching such lists I decided to make one myself. Last year was the first time and after its big success, one of the most read articles on the blog for long time after posting it I am here to show the Top 10 for this year. A bit busier year a lot of things happened which got in the way of writing for the blog. The biggest and most important(aside from personal things) my friend Tyr from the NerdsBaloney channel invited me to be his co-host for the nerdy Something Podcast and in general to help him make content for the channel(You can check it here. The channel is only in Bulgarian, sorry). You will not believe how time consuming is this =D Because of it and other reasons this year I managed to write only 28 reviews for you guys, which is 5 less from last year, but hey it is still a good number for a blog ran by one guy, right?. Several important clarifications before going to the list. This is Top 10 REVIEWED games here on this blog for 2016. Thought that making Top 10 of games I played is pointless as not all are presented here on the blog and you will not be able to check all the games I talk about. Not seeing a title here does not mean I have not liked it or I thing it is worse than those in the list, it means I have not reviewed it. That cleared, onward to the number 10! Surprisingly for many people number 10 is OwlBoy. No, hey, drop that stone! Don't...hey! That was rude, throwing stones at people! Seriously though, the game had great success and I am glad for it as it was clearly made with a lot of effort, clear idea what they wanted to make and how. For those of you which somehow missed the game this is a platformer where you play with the mute owl Otus who together with his friends has no idea about the great adventure they got themselves into. Two things impressed me most in this game - the characters and the visuals. 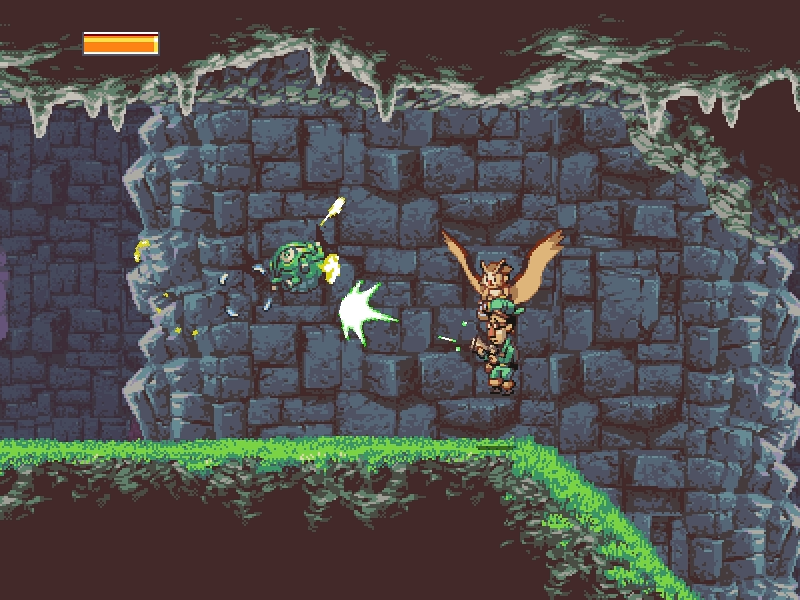 OwlBoy has one of the best characters I have seen in a game from this genre. Each one is unique and you see how they develop together with the story. Visually the game is stunning, I have never seen such detailed pixel art! Must try of you like platformers. Why only number 10? The game felt too long for me and had certain annoying long segments which almost stopped me from finishing it. Number 9 is another game which blew a lot of people away, including me. I am talking about Inside. This is an adventure game which will tell you amazing and terribly dark story without uttering a word. As a gameplay it will remind you of Limbo and that is understandable as it is made by the same people. Inside is an upgrade of Limbo in every way you can think of. If you liked Limbo Inside is for you. If you have not played Limbo but like good adventure games, grim stories and dark atmosphere Inside has something for you. Why number 9? Not sure actually I just felt deep inside(he!) that I enjoyed the other games on the list more. I count number 8 as a small personal win as I not only made someone who dislike turn based games to play it, but he also liked it so much that he finished it before me! If you watch the podcast I mentioned at the beginning you might have guessed it already. Yes, this is Steamworld: Heist. The best and easiest explanation what Steamworld is to say it is a 2D X-Com in a Wild West themed sci-fi setting. Does that make sense? I do not know, but it is true. You are the robot captain of a pirate ship doing your thing and all, but suddenly new player appears and he quickly starts to take over your territory which can not be allowed, so you take out to remove this bad guy. Then the plot thickens and everything turns out to be a lot more complicated then it looks. Gameplay wise the game is excellent, Image&Form Games has converted the formula of such games as X-Com and Massive Chalice perfectly in 2D adding to them what is needed so the game is not crippled by its 2D nature. The fights will happen mainly in multi-leveled space ships where with careful decisions, smart usage of cover and careful calculation of bullet trajectory you will have to defeat your enemies and complete your objectives. The skill shots feel great and seeing your enemies crumble into pieces only makes it better. The game also comes with character skills system, classes, a bunch of items to equip your pirates with and a lot of booty ready for the taking. Number 7 is a game which took me by surprise. I had no expectations for it and tried it out of pure curiosity. It blew me away! The game I am talking about is Epistory Typing Chronicles. For shock of everybody this is exactly what you think it is - a typing game. An RPG typing game. Yes. 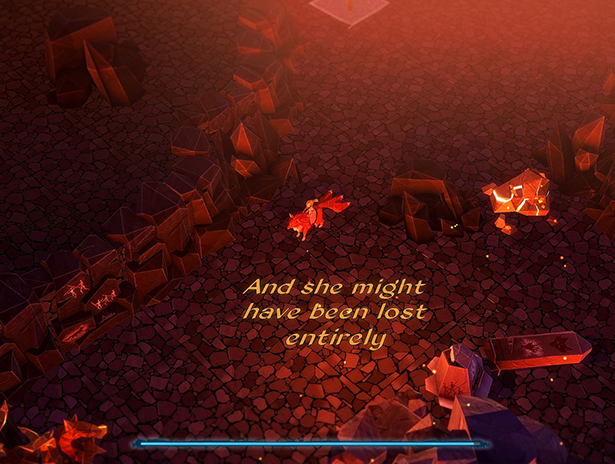 Epistory is a game about a fox riding muse which has to do her job and inspire a writer. Thematic enough you start on a blank page and as it happens often with books whole new world opens little by little before you. While you explore you will see different objects which will have words above them and you will have to type those words if you want to interact with these objects. 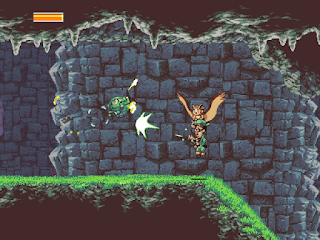 Objects will vary from wood trunks to treasure chests and even enemies. Oh yes you will fight here and those fights will be hard if you are not good at typing strange words quickly. But what captured me mostly in the game is the genuine fairy-tale feeling of the game and how elegantly it leads you through the story. It is truly a game for book lovers. Almost in the middle of the list is number 6 - The Warlock of Firetop Mountain. That is right, the classic choose your own adventure got its own digital version, which is amazing! From a fighting fantasy book it is turned into full tabletop game from the caliber of Decent or even DnD. Your character has a figurine, your enemies has too. The whole mountain is built and you wander in its endless corridors looking for a way to get to the top where you will meet the mysterious but dangerous master of the Mountain. The game offer several characters each with its own background story which will have impact on the options you get in the game and the way characters will react to you. Speaking about options - as in every choose your own adventure, here too you will have to be careful what you do as careless words or actions can quickly lead to your death. TWoFM also has interesting battle system and even the ability to save at checkpoints so you will not have to restart the whole thing when you die...and you will die. Especially when you play for the first time. In short great addition to the digital choose your own adventures and if you like me love them you should try the game. We are half way there, from here on we start the top of the top! Right in the middle of the list is a game which if does not make you feel badass, then nothing will. I am talking about SuperHot, the "turn-based" shooter, although this term is not entirely correct for the game. SuperHot works in very interesting and simple way - when you move, everything else moves, when you are still, time stops. Why does it feel badass? Because this will allow you to dodge bullets, catch swords in the air and cut enemies down before they react and every other badass move you can think of. Aside from making you feel like an action hero SuperHot also has interesting, a bit grim story, told in original way, unique aesthetic and will make you use your head if you want to succeed in these later levels. Great, unique game which you should try if you seek something new to play. This Number 4 took me by total surprise and left me without words at the end. I am talking about Oxenfree. Oxenfree is a teenage horror movie game(huh?) about a group of teenagers on a deserted island, ghosts, struggling with time loops and a great mystery. Oxenfree is one messed up game. Seriously, this innocently looking indie title will scare the...brain out of your skull. I was amazed how this game which does not have any mechanics basically, other than walking and talking can first capture me so much and second scare me and at the same time make me want to continue and see what will happen. The game in it is nature is an adventure game which is moved by what you say to the other characters. Only words is the difference between life and death, although in Oxenfree you will never be sure when someone is death or not...play iiiiit. Okay, this is kind of cheating as the game is still in beta phase, but come on now, you know how betas go these days, it may remain in beta for years. Yes, I am talking about Gwent, the CCG game from The Witcher III which CD Projekt RED made into stand alone game and which took the hearts of fans immediately. In Gwent unlike in other games inspired by Magic: The Gathering(or Hearthstone if you prefer, although Hearthstone does not offer anything really new) you will play for points. Each card you play give you points and might have an ability which will, in most cases, allow you to manipulate your score or the score of your opponent. The game is played in best of three and each round ends when both players pass. What makes Gwent interesting is how strategic is because of the reduced amount of card draw and the fact that it is played across multiple rounds. Really, really fresh breeze in the genre, I enjoy it immensely and am really interested in what way the game will go. Full review you can find here. Number 2 is Tyranny! Yes, shocking, I know, a lot of people expected it to be number one, but I must say the difference between this number 2 and number one which you will see in a minute is veeeery little. This one is not number one may be only because I was more invested in number one. May be if Tyranny was continuation of Pillars of Eternity it would have been number one. What can I say about Tyranny? Great game, amazing world, interesting story, great mechanics, meaningful choices. Whatever I say it will not be enough, it is a game which is ten times better when played. It has everything you will expect from a good RPG, not to mention one made by Obsidian which brought to us Pillars of Eternity. Just go and read the full review here or even better go and play the game, its like 20 hours long. Which is the top of the top? If you remember, Banner Saga was not in the list last year and the reason is very simple - it is not from 2015, it actually came in 2014. Now we can discuss eternally which game is better. We can nitpick at Number 1 and 2 for a whole day and still not decide which is better objectively. But as I said above Tyranny and Banner Saga are practically equal here and very little stopped Tyranny from being my Number 1 for 2016. But enough of this. Let's talk about the winner. Banner Saga 2 is the continuation of the Norse inspired saga which started with the first game and here we continue to follow the struggle of the main characters who try to save the world, their loved ones and in the end themselves. Banner Saga has a choose your own adventure like structured story where your decisions decide everything related to the course of the game. You will have to decide things varying from simple clashes between desperate villagers through distributing food supply to making tactical decisions how to position your armies. But be careful as often the smaller decisions which seem like concerning 2-3 people will have huge impact so you will have to always be on guard and think will doing something looking like a good deed be seen as a good deed from your peers. In this second part you will also find everything you loved from the first - the great palette of characters, the amazing hand drawn pictures, story filled with twists and surprises, the plot truly thickens in this second part of the Saga. Of course here are also the challenging turn-based battles which also have stepped up in this part and will offer you new challenges including a whole new race to play with and against - the Horse born. Truly Banner Saga 2 is mainly more of the same, but I loved the first part so much that this second one was really hard to be beaten for the first place in this Top 10. Playing the first part is almost a must as this one does not explain in details what has happened in the first game. But wait..do not go yet! I have honorable mentions for you and some games which look interesting but I still have not tried or have not played enough. ICEY, Silence: Whispered World 2 and Shantae are games which grabed my interest, but I almost have not played and is hard to say would have they found place in the list. So...try them if you want. Honorable mentions for this year are Sunless Sea: Zubmariner, Shadow Tactics and Salt & Sanctuary. Zubmariner is not in the list not only because is not reviewed but mainly because it is an expansion of last's year Number 5 - Sunless Sea. It adds a ton of content to the game and I played a good amount of it. A must play if you enjoy the dark underzee. Shadow Tactics is here and Number X only because its not reviewed, I just did not manage to play enough of it. Great game in the style of Commandos, but in feudal Japan instead. Have great time with the game so far. Expect the review next year. Ah...Salt & Sanctuary...I have the same mixed feeling toward this game as I have for Dark Souls. For those of you who are unaware S&S is basically 2D Dark Souls with few mechanics changed here and there, but the idea is the same. The game is great with its own unique atmosphere and challenges, if you have the nerve to play Dark Souls but have already beaten all three and BloodBorne you can try this. Here is the full review. And that is. Thank you all for reading the blog, I am very happy you enjoy it. It would not have been what it is without you. We are also going steady upwards for which I am even happier and hope to continue this way. Here one day before New Year I wish you all the best and will see you next year for more reviews. Thank you! Публикувано от Sharki в 3:08 ч.